Do I really need a robot vacuum? Coming home after a hard day’s work, do I really want to push my old upright around the house instead of relaxing? Do I want to come home and find that my house is spotless, and my vacuum cleaner is recharging after working all day? This list is going to look at the best robot vacuums that are out on the market today. The vacuums on this list vary between manufacturers, some of which may come as a surprise to you. I can assure you though that these robots are the best auto vacuum cleaners out there today, and they are definitely well worth the investment. While the technology behind these vacuums is still expanding, their performance is very solid, minus a few mishaps here and there, but it is nothing to be concerned about. Hopefully, this list can give you more of a look into the world of robot vacuums and just how efficient they can be with literally just a few pushes of a button. The Roomba series is perhaps one of the most famous, or at least well known, lines of automatic vacuum cleaners to date. I do not think it is a stretch to say that the Roomba 960, in particular, is the best value Roomba that they have released. 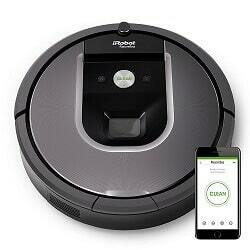 The 980 is the most expensive model in the current Roomba series, however, most people want the best value product. With that in mind, I believe the Roomba 960 is the best iRobot vacuum available for the reasons I will explain below. Better Value than the 980? Now don’t get me wrong, if money is no object and has no bearing on your decision then, by all means, go for the 980. However, if you are like me and want the best value for your hard-earned cash then the 960 is the clear winner. There are a couple of differences between the two models, and one of the main differences is the running time before they need to be charged. The 960 lasts up to 75 minutes, while the 980 lasts up to 120 minutes. That is 45 minutes extra cleaning time before the vacuum needs to be charged. When you consider that the vacuum is intelligent enough to return to its charger, charge itself up, and then continue cleaning, the running time really isn’t important enough to justify an extra couple of hundred dollars. The 980 also has a new feature called Carpet Boost, which is powered by iRobot's latest Gen 3 motor. Carpet Boost enables the Roomba 980 to automatically detect when it has moved from a hard floor to a carpet or rug and increases the suction power. While this is certainly a handy feature I'll leave it up to you to decide if this, along with the longer battery life, is enough to justify the extra couple of hundred Dollars the 980 will cost you. There is actually a third difference between the 960 and the 980: the color. The Roomba 960 contains a number of new features and improvements over the 600 series and the newer 800 series. As I mentioned previously, this vacuum will go about its business until the battery runs out. It will then return to its charger, automatically recharge, and then continue the cleaning where it left off. This is a game-changer in my opinion, no longer will you return to a half cleaned house because your robot vacuum ran out of battery and had to recharge. Most automatic vacuums return to their base to recharge, but the Roomba 960 remembers the exact spot it was cleaning and returns there when it is charged. Other new features include an even more advanced navigation system, Clean Map reports to show exactly where your Roomba has cleaned, and custom cleaning preferences such as power settings, the number of cleaning passes, and final edge clean. The most obvious area of concern regarding the 960 is with its rather hefty price. It definitely is one of the more expensive models, and vacuums in general, that I have seen. Not many people can budget for this easily, but I will be the first to tell you that this iRobot Roomba is well worth the money. As a pet owner, I never have found hair on the floor once I got the 960 and it really picks up everything. Cleaning it is not much of a hassle either, so it really is a compact little system. Overall, the Roomba 960 tops my list and for multiple great reasons. The 960 has an excellent battery life along with a great suction system. As is the case with really any robot vacuum, it will have its issue with stairs. That aside, this Roomba is a one of a kind vacuum that truly makes plug and play simple. Aside from areas that involve cleaning with water such as the kitchen or bathroom, I do know that I won’t have to worry about sweeping again as long as I have the 960. I absolutely recommend this vacuum to anyone. Neato is a company that I think falls far underneath the shadow of iRobot and it really is not due to their lack of trying. If anything, whenever a competitor to iRobot’s Roomba series is mentioned, not many people can think of one, but to me, Neato stands out. Their Botvac Connected vacuum is an interesting model in a market that is ever-expanding upon the functionality of how these vacuums work. 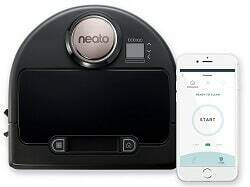 Unlike the circular shape of the Roomba series, Neato’s series of vacuums take on a square approach, making corners much easier to clean, which I always found fascinating and helpful. The standout feature of the Botvac is its ability to be programmed from virtually anywhere with its Wi-Fi capabilities. You will also receive notifications of the Botvac’s time spent cleaning and when it is done and returning to its charging dock. While some other forms of technology have implemented this aspect, such as lights or even doors with their locks, it is interesting to see Neato put this particular spin onto one of their robot vacuums. If anything, programming the Botvac to clean while you are out of the house is honestly a really great feature. One thing that really is interesting to me about the Botvac is how agile it is when cleaning a room. Some of the best smart vacuums have had a tough time navigating a room, getting stuck under furniture or simply being unable to circumvent a table. The Botvac does not have any issues with navigation and in fact, has a precise LaserSmart navigation system which automatically detects what is around it. Not to mention it features a turbo suction mode which allows it to pick up dirt, pet hair, and anything else rather easily. Even with all of its technologic advancements in the world of vacuuming, some users had an issue with the Botvac shutting down after a while. One user, in particular, said that a system update from Neato cause the Botvac to not function properly and that it would not turn on and just displayed errors. Others have said that the Wi-Fi connection is not the strongest, which is true of any product if it is far enough away from the source, but if the vacuum solely relies on a Wi-Fi connection, then I see how this could be a bit of an issue for most users. 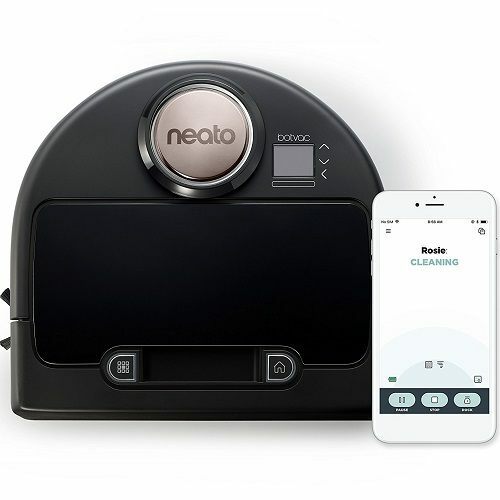 Still, I cannot knock Neato as the Botvac Connected is a strong competitor to many of the smart vacuum cleaners out there. The Wi-Fi feature can be a blessing or a curse for some users, but I just happen to think that being able to program it from far away is a great feature. There is also the much-improved navigation system that a lot of other automatic vacuums seem to lack, or at least have not capitalized on. While it did not earn my top spot on this list, the Botvac Connected is still a vacuum worth checking out. bObsweep is one of the newer companies on the block so they may not be all too popular, but nevertheless, their bObi Pet Vacuum Cleaner is one that I think may surprise a lot of users. The bObi Pet, in particular, is known to be one of the more prevalent pet hair vacuums on the market, as indicated by the name. Not only does the bObi Pet clean-up pet hair, but it also gets paw prints and anything that may be left behind from a pet such as dirt. 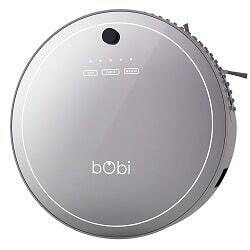 For being a pet vacuum first, the bObi Pet definitely is an intriguing option on the vacuum market. It is one of the best robot vacuums for picking up pet hair. The bObi Pet offers a 5-in-1 cleaning feature that can do everything from sweeping to mopping to even UV sterilization. This compact vacuum also has a HEPA filtration system making sure that any allergens brought in by pets or otherwise, are easily swept up. I find the 5-in-1 feature to be a bit of a high selling point because a versatile vacuum is something that definitely makes cleaning a lot simpler, especially when you can program it. Out of all the vacuums I have reviewed so far (apart from the Roomba 960), the bObi Pet offers the longest lasting life at one hour and 30 minutes and then goes to recharge. This is by far one of the best features of the bObi as not many of its competitors can say the same. In addition, it also can navigate rooms extremely well as it features around 80 touch sensors and has multi-tier brushes, which can reach corners and generally harder places to reach. Despite being circular like most of the auto vacuum models, the bObi has no issue with getting to areas that it regularly would not fit into as its brushes do the job. Even though the bObi Pet has generally positive reviews, some users did find problems along the way. One user said that they were a bit skeptical of the navigation ability of the bObi Pet, saying that it had a hard time returning to its charging station. Other users have had issues with its suction ability either not working enough or working too much to where the bObi was getting clogged and the brushes needed constantly cleaned. The bObi Pet still impresses me and I have to give credit to bObsweep in general for creating a well-received product in such a short amount of time. This vacuum may not have swept its way to the top, but it still earns a stamp of approval from me. While it may not be as big named as the Roomba or Neato series, it is still one of the best pet robot vacuums and the long-lasting battery life is one of the best features of it. All in all, I recommend you give the bObi Pet a try, especially if you are like me and are having to constantly clean up after your pets. Crenova presents an interesting robot vacuum cleaner as the company is known for an assortment of products with vacuums not necessarily being up there. Regardless, the Crenova Robot vacuum is one that has definitely gained some attention as it currently has an impressive average star rating on Amazon. The vacuum’s core features rely on its navigation ability as it has multiple sensors that allow it to circumvent obstacles all along its path. Many smart vacuums sometimes lack the ability to navigate very well, but it seems the Crenova vacuum can do just that. The suction power behind the Crenova vacuum is pretty powerful, sitting at 1200pa. This vacuum works easily on tile and carpet and provides a 4-in-1 cleaning capability. The 4-in-1 includes multiple brushes, a HEPA filtration system, vacuuming, and UV sterilizing. Not to mention, the Crenova vacuum has five cleaning modes which help it create an optimal path as it goes from room to room in a household. There is a lot of force behind the suction of the Crenova and with all of the nooks and crannies that are tied into such as the 4-in-1 and optimal navigation system, it is no wonder this vacuum made the list. Despite being a robot vacuum, the Crenova vacuum is extremely quiet, sitting at 55dB. Many vacuums, and especially these type of vacuums, still have an issue with their noise level. This vacuum has figured it out, making sure that if you are home and it is cleaning, that it does not disturb you. In addition to how quietly it works, it also has an invisible wall that is used to determine where the walls in the room are along with valuable objects so that it does not run into them. Now that is truly smart technology. However, with the good comes the bad and Crenova is unfortunately not immune to faults. Many of the complaints about Crenova’s vacuum are that it struggles with returning to its charging dock. Despite this vacuum featuring a lot smarter technology, it seems to have issues with something that should be so basic to one of these vacuums. Other complaints mentioned that the vacuum’s dirt collector would not open and others said that it would come out of its dock for a few minutes before flashing lights would appear, more than likely indicating an issue with the power. Crenova is not a company I really expected to hop onto the robot vacuum market. With some of the bigger names out there, it may surprise you that their vacuum made it onto my list. The Crenova vacuum has a lot of nifty features like the 4-in-1 cleaning capability and its navigation that is mainly guided by sensors inside of it. The complaints that mentioned the vacuum not being able to find its dock can be concerning, but I am sure this issue will be worked out. All in all, for the price, the Crenova vacuum is not too bad of a deal when pitted against bigger brand names. Eufy is perhaps one of the most overlooked vacuum companies out there, but they still continue to put out quality products. Their RoboVac 11 is just the latest example of some of the fine handiwork at Eufy. The RoboVac 11 offers many great features and like most robot vacuum cleaners, it makes cleaning so much easier for you. Its build is similar to most of its competitors as it has a more circular shape. The battery of this Eufy robot vacuum is rather impressive as it can deliver over one and a half hours of constant suction. Much like the Roomba 960, the RoboVac 11 sits near the top for battery life, meaning you will get a consistent performance out of the vacuum. The suction power of the RoboVac 11 is actually quite good with it having two side brushes along with a motorized brush. This allows the RoboVac 11 to get into corners and similar areas despite its circular build. In fact, the RoboVac 11 has four different cleaning modes, all of which can either focus on a problem area or sweep the entirety of a room. Navigation is primarily seen as a two-way street, either it will clean with no issues, or it may turn around from an area so that it does not get stuck. Unlike some other models that may try to jam their way into an area, the RoboVac 11 navigates itself away from potential areas where it may not fit, so that it can go on its way to clean another section of the room. This to me says a lot about how well the navigation system was put together by Eufy, which is very impressive to me. One complaint I have seen against the RoboVac 11 is that it does not have much of a strategy when it cleans. Despite it being able to clean flooring effectively, some users said that the vacuum would clean for a few minutes and go back to its charging dock, or that it would become seemingly lost in the room. Other users said that the RoboVac 11 gets stuck time and time again, which I find interesting since Eufy claims that their vacuum can navigate around furniture. The RoboVac 11 is relatively cheap and is a solid option for most homes. The rise of smart vacuums is always expanding and for a company that does extremely well with most of their models, I would recommend checking out Eufy. The navigation issues aside, the RoboVac 11 has an incredibly long lasting life which is a plus for me and its many brushes also are another positive in my book as it allows a user to be able to clean harder to reach areas. Even though it is not at the top of my list, this vacuum is definitely one I think could always use some more recognition. When it comes to robotic vacuums, there are a lot of questions that arise. Many users wonder exactly how effective they are when compared to traditional vacuums, which is a valid question. One thing to keep in mind with smart vacuums is that their technology is expanding and we are eventually going to see models that are much more improved than what is out on the market now. That said, there are a ton of great options to choose from now, and hopefully, some of these pointers can help you out if you are thinking about purchasing one. Pets are typically one of the biggest reasons why some people prefer to get an automatic vacuum. Since these vacuums can be easily programmed to work at a specific time a day, or manually programmed, it makes it easy to have a cleaner home. Robot vacuums are typically really good at picking up a lot of pet hair, so one may be worth considering if you have multiple pets or one that sheds often. Even if you do not have a pet, this is not to say that this type of vacuum is something you should ignore. For most people, the convenience of having something else, such as an automated vacuum, do the cleaning while they are gone either at work, the store, vacation, or wherever, make these a big seller. How often are You Cleaning the Vacuum? The one thing to consider is that they are quite obviously much smaller than traditional vacuums. With this, they may need to be cleaned more often than not as they cannot hold as much. Even though this can be a bit of an annoyance, I find it to be a small trade-off considering all the work these little helpers put in. If you do end up purchasing one, just be sure to clean it often, maybe once every few days, so that it avoids clogging. These vacuums will clog easily if they are not maintained, so it is important to stay on top of them to avoid issues. As the technology increases for robot vacuums, so do the navigational skills behind them. The common issue most people have with this kind of vacuum is that they can and will get stuck either under a couch or between the legs of chairs at a table, but many vacuums now are built to circumvent their way around furniture. However, if you have a lot of furniture in a more enclosed space, this could potentially be an issue for one of these vacuums as it may not have much room to work with. If they continually get stuck, this may be an issue with the navigation system of the vacuum, or it could just not have enough room to operate. Making sure the vacuum’s pathway is clear is one important step for a successful cleaning. The price of robotic vacuums does seem to fluctuate at times, but for the most part, the more expensive models do have a longer battery life along with many other great features. That said, you do not have to overpay in order to get a quality vacuum and most of these vacuums are priced in a way that is not too unaffordable. Again, with something like this, you are investing in a product that should hopefully last you a long time, keeping in mind you making sure it is operating as normal. The one downside to automatic vacuums is that they do require more supervision than if you were manually using a vacuum, but it all depends on whether or not the money spent is worth the investment in your opinion. Just my two cents, these vacuums make cleaning so much easier, especially when I am not home a lot of the time. Do You Need any Special Features? Sometimes smart vacuums will feature anywhere from 3-in-1 to 5-in-1 cleaning components which usually mean they have a ton of different options for how you want your floor cleaned. Usually, these options go between vacuuming, sometimes mopping, HEPA filtration, and sterilization. That said, others come with handy brushes that are useful in areas where a robotic vacuum may be limited due to its size constraints. The more special features a vacuum has, the chances are it will be more expensive. Even still, if you do plan on buying one, I would think that they can easily take over a traditional vacuum cleaner. Most robot vacuums work well on any surface but if you have a high proportion of solid flooring in your home, you may want to research and find out what the best robot vacuum for hardwood floors is. Does Shape Matter to You? The one problem many users find is that the robotic vacuum they bought has a tough time reaching corners or specific areas of their homes. 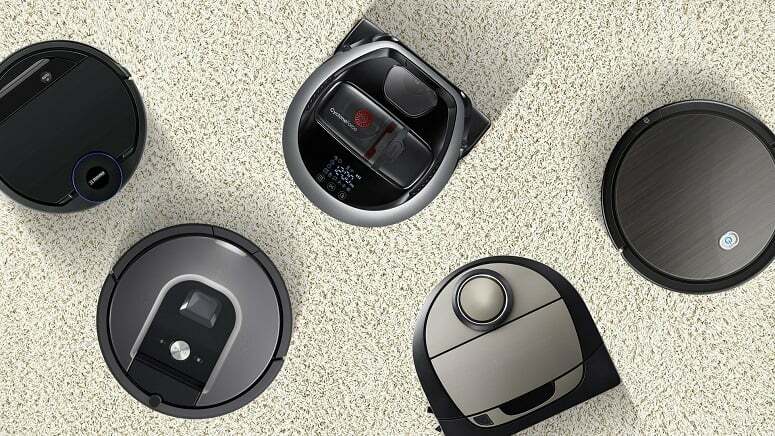 Some of these vacuums are built in a circular fashion, while others are more of a square shape. Both builds have their advantages while some can reach corners and others can navigate a little easier. In the end, it really comes down to personal preference. If you already take care of your corners with another type of cleaner, then maybe the circular type of vacuum is the way to go, otherwise, a square shape may be your best bet. All in all, I hope that these questions and considerations were able to help you out in regards to making a decision. They are still in a sense, growing, and I think that is something important to keep in mind if you do plan on purchasing one. The vacuums themselves are pretty solid builds and easily compete with traditional vacuums no problem. If anything, it comes down to which type of vacuum you would prefer overall. Some people like being able to be in charge of what they are doing with the vacuum, while others would rather just push a few buttons and have the cleaning done automatically. There is no wrong answer when it comes to robotic vacuums; all that these vacuums do is present an alternative method of cleaning. The best cleaning robots will ultimately eliminate vacuuming from your daily housework. Robotic vacuums are slowly, but surely, making their way into more homes across the globe. These vacuums are effective and fast, making it easy for the user to sit back and relax while the vacuum does all the work. When looking at this robot vacuum cleaner comparison, I have to say that iRobot’s Roomba 960 is the king of the hill when compared to its competition. There were many features I liked about it that it is hard to just pick one, but the 75 minutes of battery life was a big seller to me. Prior Roomba models struggled with navigating through multiple rooms, but the 960 easily cleans an entire level of my home. This makes cleaning so much more effective and with its AeroForce cleaning system that has up to 5x the suction force of other models, I have yet to see any issues with the 960 not performing up to its standard. The other vacuums on this list are definitely worth checking out as they are all solid models. To me though, nothing compared to the 960, but if you feel that it may be out of your price range, any of the other cheaper robot vacuum cleaners on this list I can definitely recommend. In fact, you may prefer the Neato or bObi to the Roomba and that is completely fine; there is no wrong answer when it comes to this list in the long run as each and every one of these vacuums are ranked high for a good reason.